City Gym is located in Sydney, New South Wales, Australia. It has been voted "The Bset Gym in Sydney" by the Sydney Morning Herald. 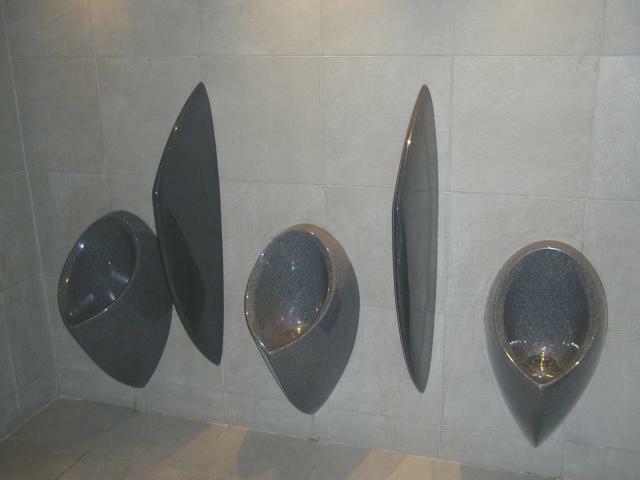 This picture has been sent in by PM from Watersave Austalia, the makers of the depicted Uridan water-free urinals. He writes: "This is a renovated bathroom with 3 granite finished URIDAN water-free urinals and 2 colour coded privacy screens. This particular installation was entered into the "Top Ten Toilets" competition. (we await the results!)"